Will Windows RT still be around after Windows 9? When I put the rumour about Microsoft choosing Windows TH as the name for Windows 8's successor to one of our Microsoft sources, they was puzzled. "Frankly," he said, "I'd be amazed as the RT name was a disaster for them." Indeed, XP was probably the only Windows version containing letters that was successful for Microsoft; ME, Vista and RT have been relative failures even if they shipped in tens of millions of units. NT, being a server product, is excluded from this exercise. Windows 95, 98, 2000, 7 and 8 have been fairly well received by users with the first one becoming the first real standalone GUI OS from Microsoft and solidifying the status of the Redmond-based company as the biggest software company in the world. Naming the next iteration of Windows as TH will only serve to add to the confusion and could turn to a marketing acronym nightmare (TH for Thorium? THreshold? Total Howler? Top Hat?). Microsoft has enough data to make the right decision on how to name the next version of Windows (cue 98 to ME or Vista to 7) even if the actual feel and performance of the operating system will play a big role on how popular it becomes though. 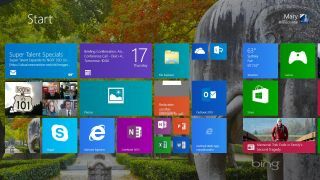 Windows 9 is likely to be the last version sporting a number in the name; with Microsoft's triple strategy of cloud-based, cross platform, always-connected (and updating) OS, it would make sense to simply have one Windows that simply works. Add in the fact that Windows 9 might be free for some existing Windows users and it just makes sense to abandon the antiquated system of adding a suffix to an application that has changed so much, in a technological landscape that bears no resemblance to that when Windows 95 was launched. Could other Microsoft applications like Office or Internet Explorer follow suit? That is also a tantalising option to consider.